Bao Vuong is the President and Co-Founder of WhyHotel. 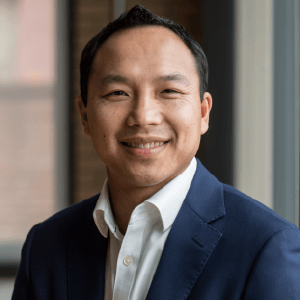 Prior to WhyHotel, Bao was the VP of Development at PN Hoffman where he led acquisitions and developments of over 1 million square feet of mixed use projects. Prior to PN Hoffman, Bao was a Managing Consultant in IBM’s Global Business Services division and was responsible for managing and implementing finance solutions for Fortune 500 companies across the U.S. He has his B.S. from the University of Virginia’s McIntire School of Commerce and his M.B.A. with honors from U.C. Berkeley’s Haas School of Business.